THE VENOM-VX. 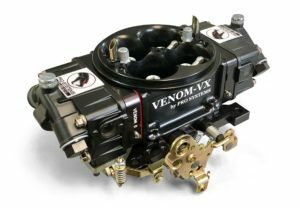 We designed the VENOM-VX carburetor to be the best carburetor period in the 730-1050 cfm range. 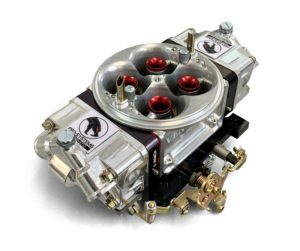 With a custom CNC Billet main body, offering relocated boosters, a new shaped Billet main body with a venturi that offers improved low speed signal generation and even offset machined air bleeds to reduce fuel pull over and stabilize the air to fuel ratios for a much improved fuel curve, faster shift recovery, quicker throttle response and more consistent operation. We thought of everything when we designed the VENOM-VX.